Newsophile: Cryptkeeper sues Kellyanne Conway in celebrity likeness lawsuit. Cryptkeeper sues Kellyanne Conway in celebrity likeness lawsuit. 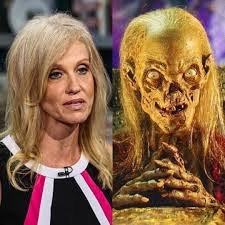 NEW YORK, NY --Time Warner unit HBO, which produced the "Tales from the Crypt" horror anthology series from 1989 to 1996, has filed a 'celebrity likeness' lawsuit against Trump special advisor KellyAnne Conway. The surprise lawsuit has been filed due to a "startling, discomfiting and potentially costly likeness to our commercial property in perpetuity, the Cryptkeeper." The Cryptkeeper, the animated corpse puppet host of the series, would generally introduce each episode after "popping out of his coffin, cackling wildly; finally, green slime pours down over the screen as the main title appears." Voiced by actor John Kassir and performed by puppeteer Van Snowden -- who had previously lit up the television stage as childrens' favorite H.R. 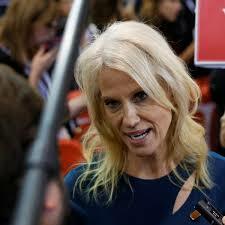 Pufnstuf -- HBO maintains that while Conway admittedly doesn't have any connection with green slime, her other physical characteristics are simply too close to ignore. 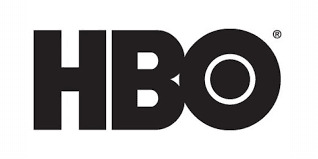 "This isn't personal, I actually like her a lot," insists HBO President Andrew Pieper. "But we're a public company, so we have a fiduciary responsibility to our investors to protect our assets. In this case that means going after another public figure who borrows our copyrighted appearance as some short of short cut to financial success." 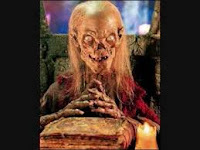 As Pieper explains, the continuing popularity of "Tales from the Crypt" DVDs and Cryptkeeper merchandise sold through Time Warner-affiliated theme parks, big-box retailers and online merchant Amazon.com could actually impact the media giant's bottom line. "Our fear is that viewers will see Kellyanne on CNN or Fox News, equate that look with our iconic Cryptkeeper, and assume our host has somehow transformed into a Trump spokesperson. I can assure you that is certainly not the case, and we demand an immediate cease and desist from Ms. Conway."